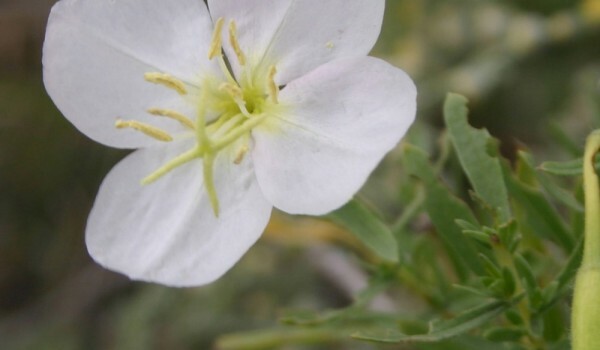 The flowers of this perennial prairie plant tend to be short-lived and have an unpleasant odour. They bloom in late in the day, opening entirely in just one minute, and close again by noon the next day. Their white colour, scent, and bloom time makes them attractive to night-flying summer insects, such as moths, that act as pollinators. 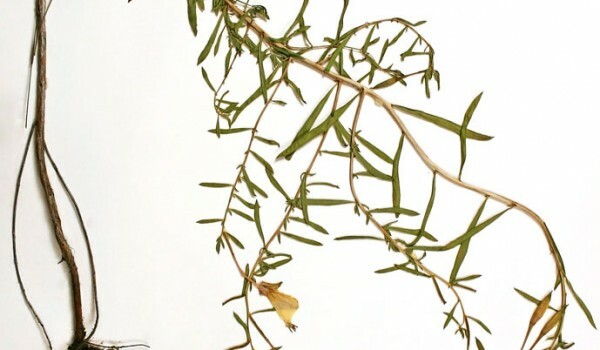 This plant’s branching stems have whitish peeling bark, and grow 30 – 100 cm tall from a thick woody base. Its alternate leaves are long and narrow and hairy underneath. Single flowers, up to 4.5 cm across, occur at the upper leaf axils, drooping before blooming. 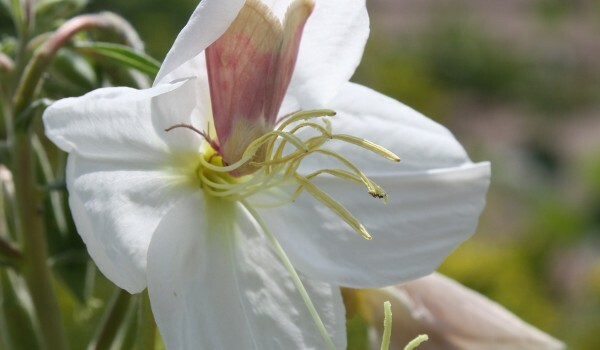 Each one has four white, egg-shaped petals that turn pink with age. The yellow anthers and cross-shaped stigma stand out significantly. Fruits are hairy, cylinder-shaped capsules that release dark brown, egg-shaped seeds.